Luke Lafontaine has lost everything, his father who’s died from cancer, his dairy farm that had been taken by the creditors, so basically everything in his life. He barely survives, can barely eat and he finds himself near homeless if he doesn’t find a new job soon. Mason is a student in psychology, he lives in a house near the campus with his roommates and plays clarinet in the university’s band. Mason was also Luke’s tutor when they were in high school. 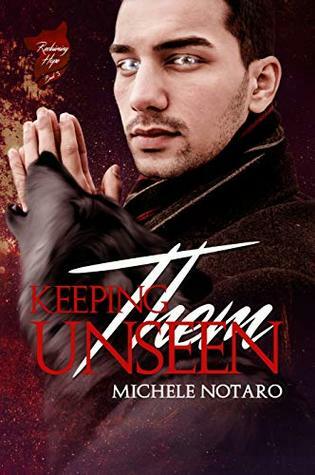 When Mason meets Luke again a couple of years after high school, he wants to reconnect with him and more, but Luke’s past, fears, and broken life aren’t simple to deal with. Mason will have to help Luke to find his feet again, his life and maybe love. 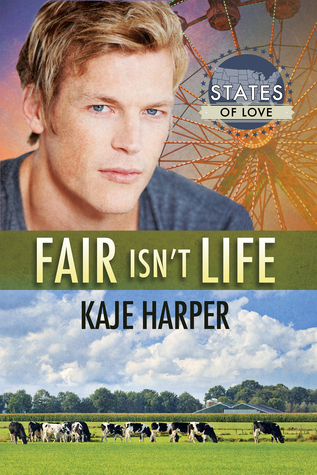 Fair isn’t life by Kaje Harper is a standalone in the State of Love Series. It was my first book by this author, and I can say that I completely loved it. I don’t know where to begin. I really loved this book. It was a beautiful love story. The characters are awesome, simple and real. Luke is broken, in everything sense of the word. He has no money, no job, and he’s traumatized by his father’s death and the bankruptcy of his dairy farm. 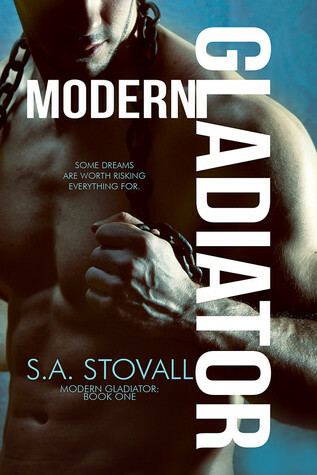 When he reconnects with Mason, he’s torn between his desires to be with Mason and not being able to be what Mason deserves. Luke is confused and scared, but he’s also a proud man, with values, respect, and kindness. I completely melted for him, from the very first words of the book, Luke touched me, touched my heart. He’s so beautiful inside and out, so sensitive and tired by all the trials of his life that I only wanted to hug him and never let him go. Mason is the exact opposite of Luke. He’s out and proud (not that Luke wasn’t) and doesn’t care about what people can think of him. When he reconnects with Luke, Mason wants to explore the crush he had for him during high school, but when he realizes how hard life was for Luke, Mason does everything in his power to help and support him. I loved Mason, I loved how he is with Luke, how he helps him to figure out his life, how he supports him and how he takes care of him. Those two characters stole my heart. I also loved all the oppositions between Mason and Luke. One is small, lean and feminine, the other is tall, huge and manly. One is dominant, the other more submissive. One is confident, the other fragile. But the two together are two halves of the same heart. The author wrote a beautiful love story, simple and real, well written and beautifully told. She shows a piece of life, plain and simple. I happily recommend this book. Really, you won’t regret it, and Mason and Luke are worth it. 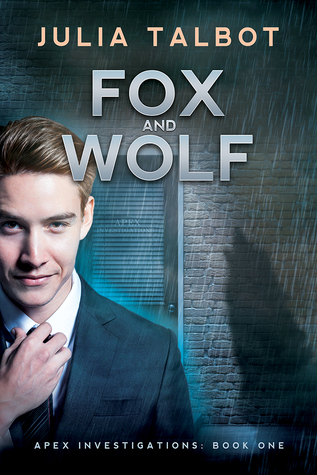 Jordan Wolf is the CEO of his company. He’s successful, very successful and works hard for that. With the help of his assistant, Brady, Jordan has his weeks running smoothly. Until his PA gets sick and Jordan realizes how important Brady is to his company and his life. Brady didn’t expect that having flu would change his life forever. 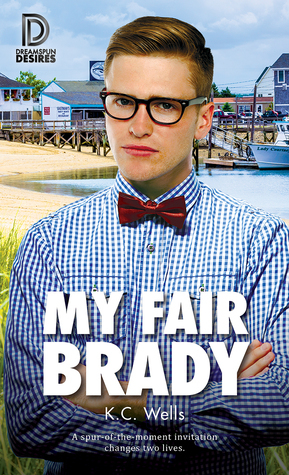 My Fair Brady by KC Wells was a sweet and adorable book that I enjoyed a lot. Jordan is the CEO of his own company. He’s powerful, hard worker and successful, but he never realizes that he can be all of that because Brady takes care of every aspect of his life. Jordan realizes soon that Brady is more than just a simple PA and at first tries to show him how grateful he is of his work until he meets the real Brady, the one in real life that he’s never met before. This Brady catches Jordan’s eyes and heart. Brady is probably the best PA in the world, the fact he’s in love with his boss since he starts to work for him has nothing to do with his efficiently. Brady didn’t expect to see Jordan on his doorstep when he was sick, taking care of him. He didn’t expect to bond with Jordan more than their work relationship, and most of all, he didn’t expect to fall a little bit more in love with Jordan each time Jordan took care of him. I adored these two men; they were so adorable, funny, sweet and just natural. Brady is funny and sassy; he doesn’t seem like that at first when he’s in PA mode. I love the fact that the reader meets this other side of Brady with Jordan. I loved Jordan too; he’s smart, kind and a protector. How he reacts to Brady’s absence is funny (the lunch episode made me laugh out loud), he’s completely lost without him, but when he starts to see the other side of Brady, he is hooked, just like the reader. I loved how the author made the reader fall in love with the MCs at the same time they did. She didn’t just write their feelings; she showed them to us. I laughed and swooned for them all through my reading. The book is only about Brady and Jordan’s story, no drama, no sub-plot. Just them and a piece of their life written with talent and it was very good. I gladly recommend this book; it’s the kind of story that I enjoy to read and want to live.